Can Walmart gain an online advantage over Amazon by simply accepting cash? 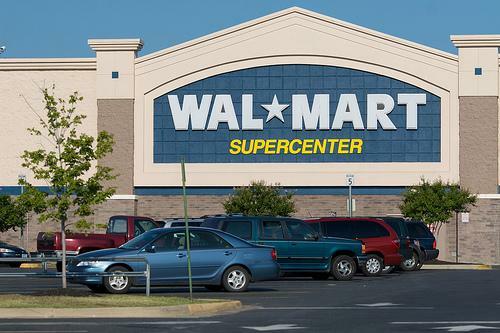 Announced on the Walmart Corporate site earlier today, the company has launched a new program that allows consumers to purchase an item online and drive to a nearby Walmart location to pay the bill in cash. Since the retailer’s online portal has a vastly larger inventory than any single Walmart store, consumers can purchase items that are not currently available within the immediate area without having to use a credit card. When the order is placed online, the customer selects the “Cash” option under payments and makes note of the order number. Within the next 48 hours, the customer stops in at any Walmart location and gives the order number to a cashier in the store. It’s also possible that Walmart stores outfitted with automated checkout machines will include an order completion option in a future update to the mashine’s software. 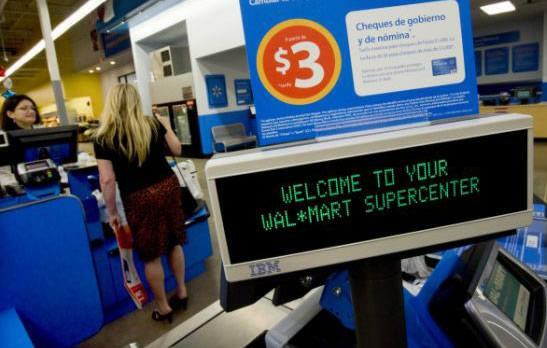 After the order has been paid for with cash, the order ships out to the customer’s home or to a nearby Walmart store if the customer chooses the “Site to Store” option. If the order has been shipped to the store, the customer will receive a text or email regarding availability once the product arrives. According to a 2009 survey conducted by the FDIC, 7.7 percent of U.S. homes don’t have any bank accounts and are classified as “unbanked.” In addition, 17.9 percent are classified as “underbanked” which means the household has at least one checking or savings account, but relies on alternative financial services like check cashing services, non-bank money orders, pawn shops or payday loans. However, 63 percent of underbanked households and 81 percent of unbanked households have Internet access within the home. This means approximately 17.5 percent of U.S. homes containing about 40 million adults rely mostly on cash and use the Internet, thus they may prefer this new online shopping option. In order to compete with this new pay-by-cash program, online-only retailers like Amazon would have to partner with a company that has a large amount of retail locations within the United States. Amazon could potentially expand its ongoing relationship with 7-Eleven in regards to the in-store storage locker program launched during September 2011. Beyond providing lockers for Amazon customers that prefer to have packages delivered to a secure location instead of being left at the front door, Amazon could hypothetically upgrade the terminals to include an automated method to accept cash for recent Amazon purchases. However, the machine would likely need to receive a hardware upgrade to physically accept cash and 7-Eleven would have to benefit financially from the expanded relationship, thus cutting into Amazon’s total profit.